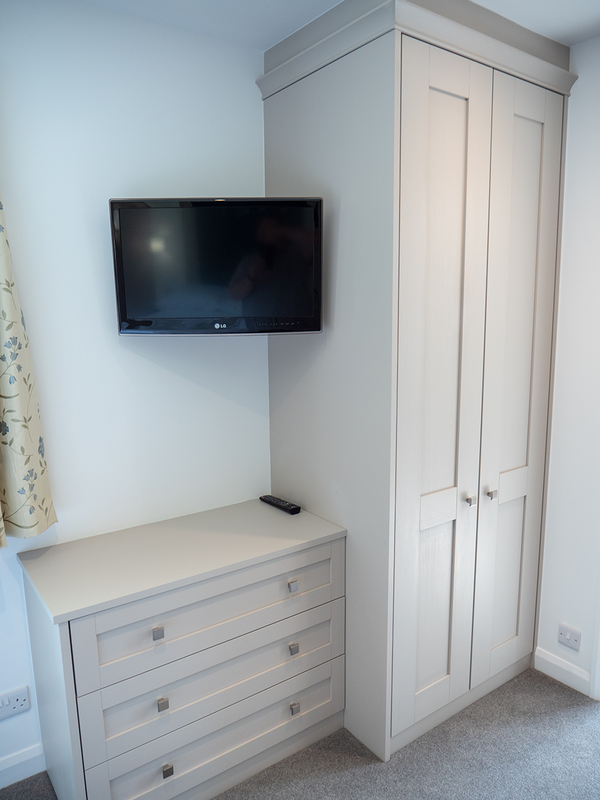 To start with, the Cannadines team called upon our highly skilled installers to plaster the entirety of the walls and ceiling, as well as undertake electrical work that allowed the relocation of plug sockets to much more convenient locations around the room. 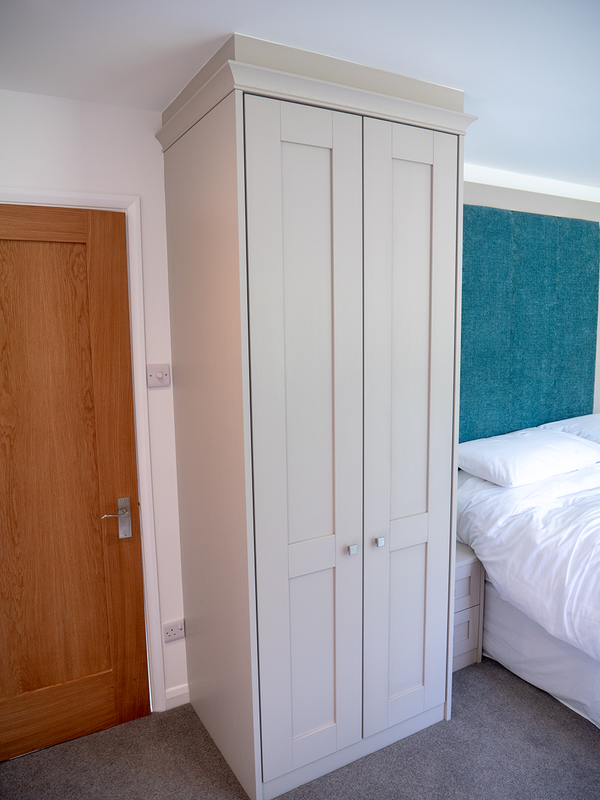 When it came to designing the room in line with the customer’s requirements, the perfect match for this was a traditional fitted bedroom furniture set from British manufacture Hepplewhite. After consulting with them throughout the design process, we settled on a Milton solid wood set, painted in light praline. This reserved colour scheme brought a calming atmosphere to the space – ideal for creating a cosy sanctuary to relax in. The mirror, framed in the same finish, is also from Hepplewhite. 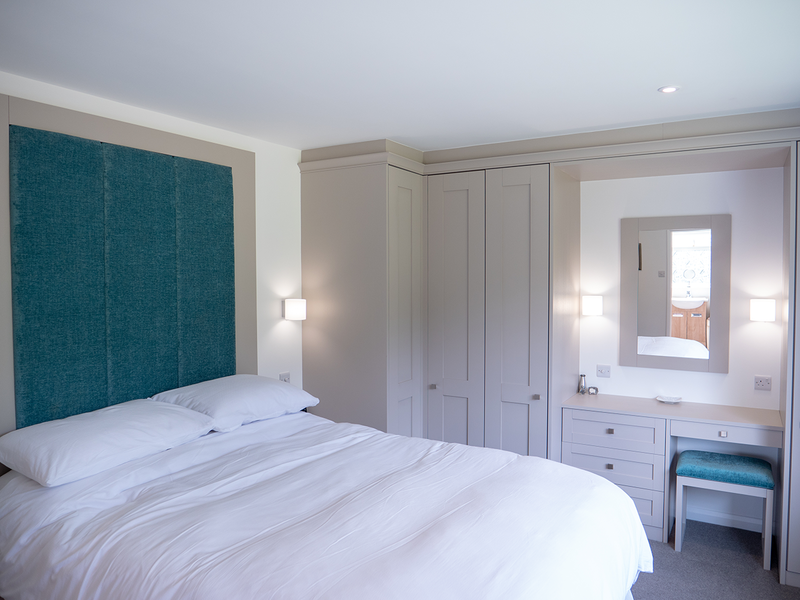 To add a colourful focal point to the room we contrasted the Hepplewhite set with a striking headboard in Corina Surf. 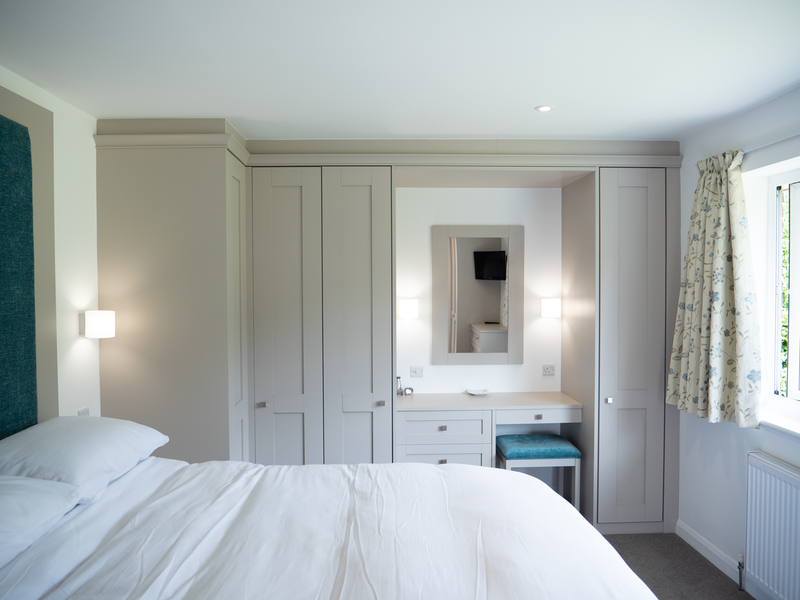 Dimmable downlights have been used throughout the bedroom. The customer was supplied three choices of lighting effect – ‘light’, ‘bright’ and ‘warm daylight’, with the latter being installed. Finally, although Cannadines was well equipped to supply if needed, for the finishing touches the customer had their own soft furnishings supplier to take care of the curtains and carpet.